“Showcasing Greatness Within the BLACK Community” is the motto that BLACK STREET goes by and they did just that, kicking off the ceremony with a stellar solo performance of the Black National Anthem sung by Courtney Porter. As time progressed the young, talented and handsome “Lester White” co-star on HBO’s Boardwalk Empire, Justin Davis, humbly presented the Humanitarian Award to Isaiah Washington. Whether in his professional life as an actor and producer or his personal role as being a husband,father and activist, Mr. Washington passionately commits himself to all his ventures. Completing his first memoir entitled, A MAN FROM ANOTHER LAND: “How finding my Roots Changed My Life” is his latest achievement BUT it is his work in the Republic of Sierra Leone in which he was being honored for. In September of 2008 Isaiah attended the 63rd United Nations General Assembly in New York City as an advisor to President of Sierra Leone Ernest Bai Koroma. Following the events, President Koroma traveled to Washington D.C.and announced that Washington would be granted full citizenship of Sierra Leone. This Historical citizenship declaration made Washington the first African-American to receive such an honor and President Koroma the first African president to perform such an act. Isaiah’s Connection and involvement with Sierra Leone continues to be visible through his organization, The Gondobay Manga Foundation which is dedicated to improving the lives of citizens of Sierra Leone. Isaiah Washington will become the first African -American to lead a Africa/South Korean Alliance designed to rebuild the infrastructure of Sierra Leone with his new company HIRA INTERNATIONAL INVESTMENT GROUP, LLC overseeing a multi million dollar investment fund. Listening to Isaiah speak was as if he was Mother Hen and we were listening to him tell us stories,words of encouragement to come together and support each other in everything. With a well deserved standing ovation he graciously walks off the stage and the Sultry hummingbird, Jeanette Berry of the Soul Nerds reminds us what it feels like to be loved or in love with her single “Love Stomped.” which is the hit T.V. show Girlfriends intro song. Moving along, Stacie NC Grant, a renown motivational speaker, address the audience on BLACK empowerment and the audience was not just moved but speechless. In between breaks awards recipients were being announced, win or “lose” all attendees were just happy they were in the presence of great people, a beautiful venue, and most of all being part of history in the making. Introduced by Shanda Freeman, co-host of MTV’s Man & Wife and wife of DJ Fat Man Scoop, Mikki Taylor, Editor-at-Large of ESSENCE Magazine made her debut as the Lifetime of Greatness Honoree at the Black Street Celebration. Taylor, a humble spirit, truly exemplified “Inner and Outer Beauty” likewise her insanely successful book, Self-Seduction: Your Ultimate Path to Inner and Outer Beauty. Other honored guests included entrepreneur Jean Alerte, owner of Julius Casimir Jewelry and Carter,Alerte & Associates; a public relations firm with the Trailblazer Honor, and television producer, Co-Founder of WEEN organization, Sabrina Thompson, was honored with the Empowerment Honor for her work with young women. The Ceremony closed with CEO & Founder of BLACK STREET, Judith Jacques, with her young son at her side, graciously thanking every single supporter and fighting back tears of joy. “I never thought this would be of such magnitude, thank you for making my dreams a reality. I hope in some small way, BLACK STREET has showed you the recognition in which you all deserve.” Ms Jacques gave her team a shocker and presented them with a plaque of appreciation and for their contribution in aiding BLACK STREET’S first award ceremony, making it a memorable one. Each guest walked away with a gift bag filled with goodies including a free hard copy of Isaiah Washington’s memoir. Let us not forget the additional pleasant surprise given to our guest: a 2-hour book signing by Isaiah Washington to each of the guests. 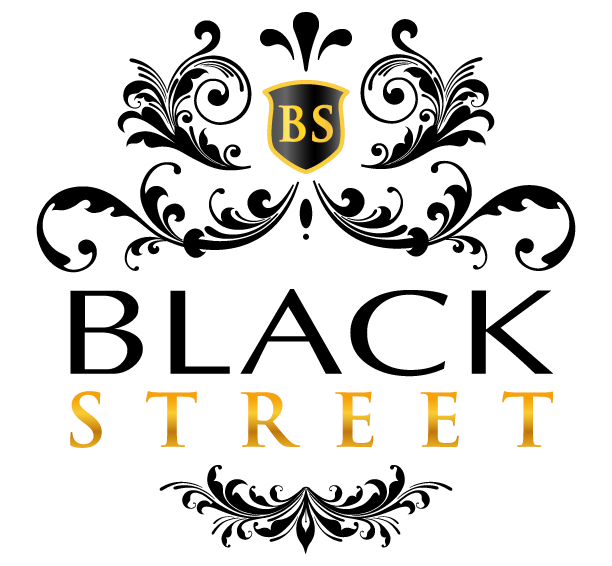 Special thanks to ALL who’ve made BLACK STREET’S First Annual Awards Celebration Ceremony more than a SUCCESS! !